Refer family, friends, colleagues and peers to great jobs and get paid for each successful referral! We automatically anonymize your referral. If the employer reveals the contact information and hires your referral within three months, you will be paid 75% of the employer’s reward! Subscribe to industry-specific job alerts and get new jobs to refer & apply to directly delivered to your inbox! I would like to periodically be notified about jobs to refer to by email. 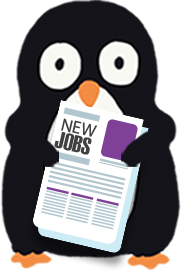 Our free job alerts will notify you of the latest jobs posted in your selected industries by email. Regardless of how many industries you select, you will only receive one email per day or week.